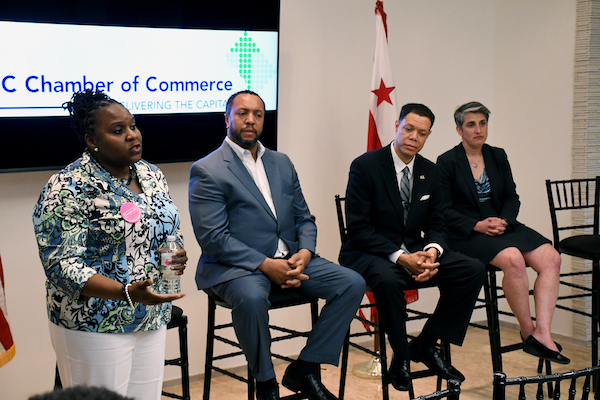 Candidates for two at-large seats on the D.C. Council presented their legislative proposals Wednesday, May 2 at a forum held by the D.C. Chamber of Commerce, as the prospective city leaders laid out their agenda for the District’s business community. 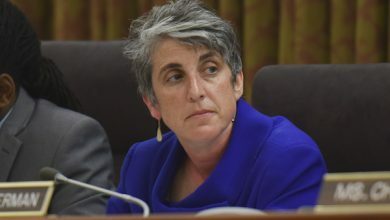 The incumbents — Democrat Anita Bonds and independent Elissa Silverman — faced their respective challengers in two separate segments. 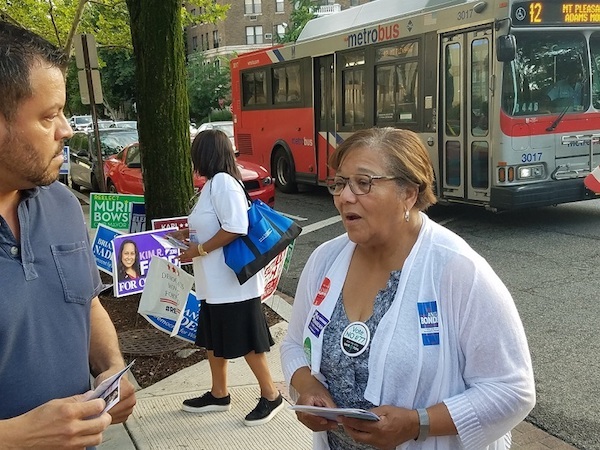 Bonds’ opponents included Marcus Goodwin, Aaron Holmes and Jeremiah Lowery — her three foes in the June 19 Democratic primary — while Silverman squared off with Dionne Bussey-Reeder, Ambrose Lane Jr. and Rustin Lewis, whom she’ll face in the November general election. 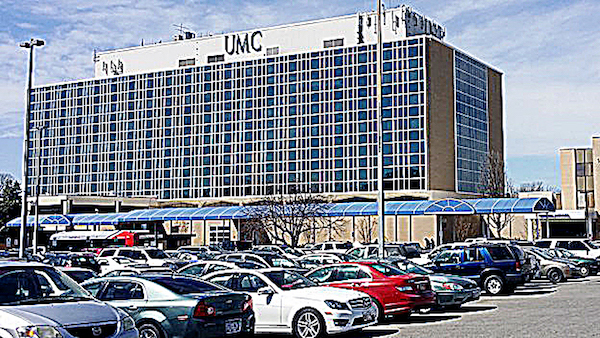 “We thought this would be a great opportunity for small businesses to hear from the candidates running for” the at-large seats, Marie C. Johns, chair of the D.C. Chamber’s board of directors, said of the forum. Johns said that the chamber wanted to give business owners the opportunity to present their election agendas. Matters of taxes, education and affordable housing took center stage at the forum. 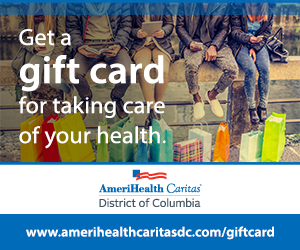 Orange said the 0.62 percent payroll tax on employers to fund the District’s universal paid-leave program would cost D.C. businesses about $250 million, the proposed carbon tax would cost them $650 million and Metro funding would cost businesses in the city about $170 million. 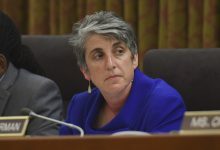 He also said as the city’s unemployment insurance fund grows to nearly $600 million, the addition of $150 million to the fund will fall back on the city’s small businesses. 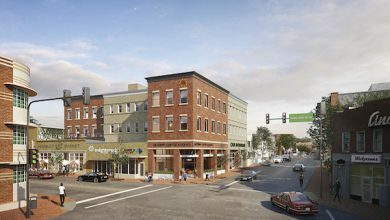 “After these new taxes, the business community is still faced with workforce development, educating our young people and providing affordable housing,” Orange said, adding that those issues, alongside circulating dollars within the District by hiring city residents and using D.C.-based contractors for development, were the chamber’s priorities. Though Lane said he would not support a decrease in the amount of funds dedicated due to unemployment disparities, he proposed a “jobs for all” bill that would guarantee District residents employment, saying that five to eight percent of the budget could support the bill. “It’s about the priorities that we set,” he said. Bussey-Reeder, who owns the Cheers at the Big Chair restaurant in Ward 8, touted her track record of employing city residents. She also proposed cutting taxes for local businesses and leveraging the city resources to build more affordable housing. 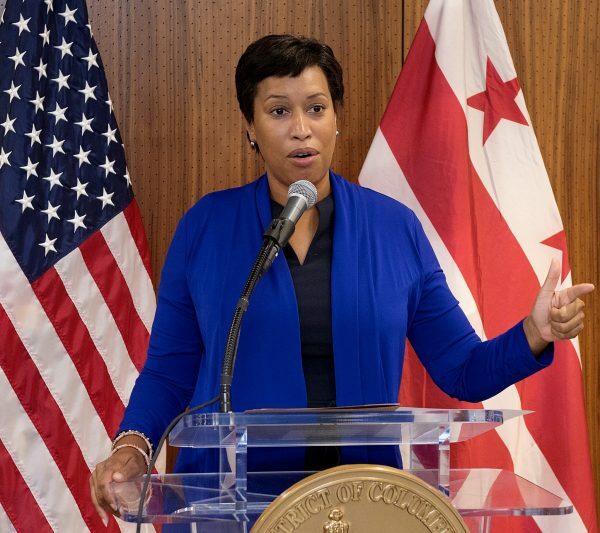 Bonds also promised to commit to no new taxes for D.C. businesses, while Goodwin proposed expansion of vocational education opportunities and offering incentives to developers that use District contractors and workers. Tanya Crawford, a District resident and owner of a small business of an accounting firm aimed at tracking government accountability and financial compliance, said the forum was a “great investment” of her time. She said hearing the candidates’ perspectives on protecting small businesses would help her in the polls. Tatyana Hopkins has always wanted to make the world a better place. Growing up she knew she wanted to be a journalist. To her there were too many issues in the world to pick a career that would force her to just tackle one. 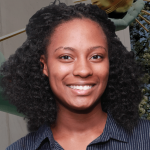 The recent Howard University graduate is thankful to have a job and enjoys the thrill she gets from chasing the story, meeting new people and adding new bits of obscure information to her knowledge base. Dubbed with the nickname “Fun Fact” by her friends, Tatyana seems to be full of seemingly “random and useless” facts. Meanwhile, the rising rents in D.C. have driven her to wonder about the length of the adverse possession statute of limitations (15 years?). Despite disliking public speaking, she remembers being scolded for talking in class or for holding up strangers in drawn-out conversations. Her need to understand the world and its various inhabitants frequently lands her in conversations on topics often deemed taboo: politics, religion and money. Tatyana avoided sports in high school she because the thought of a crowd watching her play freaked her out, but found herself studying Arabic, traveling to Egypt and eating a pigeon. She uses social media to scope out meaningful and interesting stories and has been calling attention to fake news on the Internet for years.